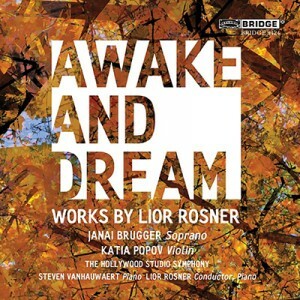 But concert music has always been dear to Rosner’s heart, and his artistry is on full display with his new collection of vocal and instrumental works, “Awake and Dream,” released on Bridge Records. “‘Awake and Dream’ brings together a collection of works I’ve written for violin and poems I’ve set to music for soprano voice,” said Rosner. 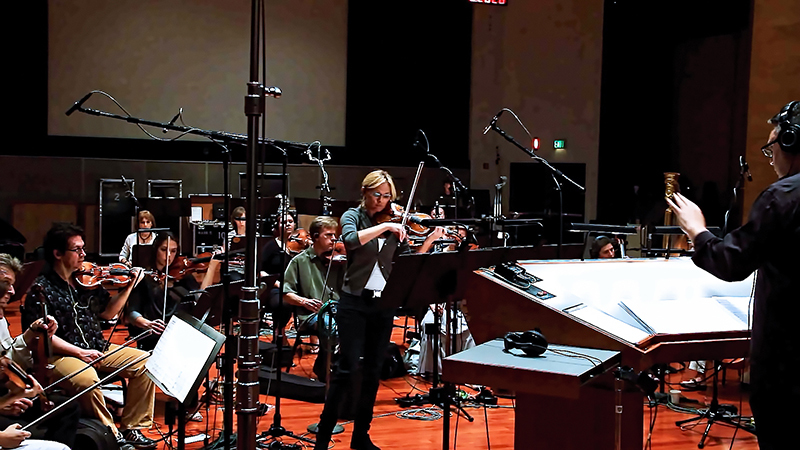 The album was recorded by the Hollywood Studio Symphony and conducted by Rosner on the Warner Bros. Eastman Scoring Stage in Burbank, at the Bridge Recording in Glendale, and at Firehouse Recording in Pasadena. It features five pieces: “Awake and Dream” for violin and orchestra, “Three Poems by Sappho” for soprano and orchestra, “In Time of Silver Rain: Seven Poems by Langston Hughes” for soprano and piano, “Innerscape” for violin and piano, and “G-Pull” for solo violin. The composer turned to soprano Janai Brugger to perform on the recording. The 2012 winner of Plácido Domingo’s prestigious Operalia vocal competition and the Metropolitan Opera National Council Auditions, the American soprano appeared as Liu Turandot at the Hawaii Opera Theatre during the 2013–14 season. In 2013 she returned to Los Angeles Opera with her debut as Pamina in “The Magic Flute,” and in the spring she performed with the Metropolitan Opera singing the role of Helena in “The Enchanted Island.” In May, she made her debut as Michaela in “Carmen” with Opera Colorado. “The pieces on the album came to life thanks to the great artistry of soprano Janai Brugger and violinist Katia Popov,” said Rosner. The award-winning Popov has held the positions of concertmaster of the Sofia Chamber Orchestra and the Academy of Music Chamber Orchestra. Continuing her studies in the Paris Conservatory, she became concertmaster of the European Symphony Orchestra, with whom she recorded and traveled extensively throughout Europe. After moving to the United States, Katia became a member of the Los Angeles Chamber Orchestra, principal II violinist of the Long Beach Symphony, and concertmaster of the Hollywood Bowl Orchestra, Santa Monica Symphony, Glendale Pops, and Glendale Philharmonic. The title work on “Awake and Dream” is a meditative solo played by Popov and the Hollywood Studio Symphony, conducted by Rosner himself. “Awake and Dream,” out now on Bridge Records, is eligible for 2015 Grammy nominations. The album is available for purchase from Amazon, iTunes or ArkivMusic. Visit Lior Rosner on the web at rosnermusic.com.